We are starting the second week of BM # 29th Edition. 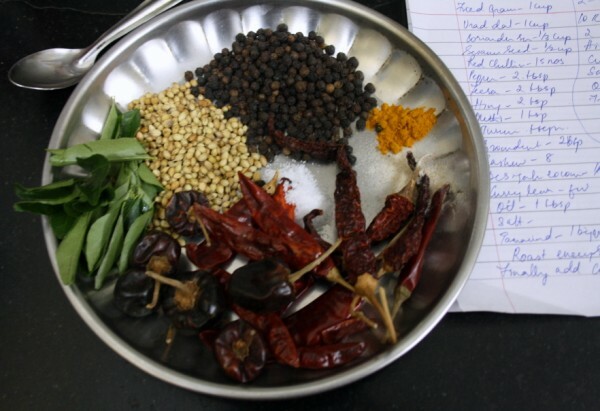 I am planning to make Indian Spice Mixes that aid and enhance the dishes. These Spice blends are versatile and can be used in many dishes. For the first day I decided to make this spice blend with Whole pepper. 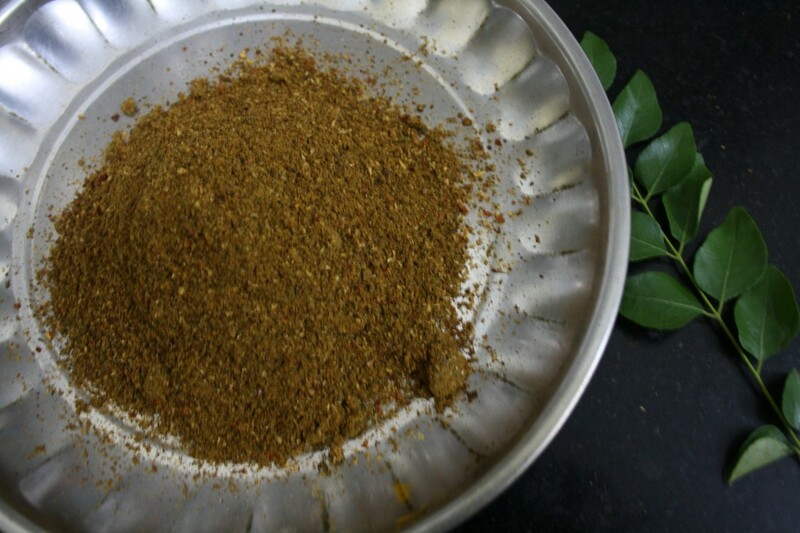 The famous Kuzhamus of Tamil Nadu can be so easily prepared by using this spice blend. I rarely buy masala powders. Other than Pav Bhaji Masala and Chana Masala, I mostly make other things at home. I even prepare Channa Masala at times. I am planning to make Pav Bhaji sometime. For the next three days, enjoy the spice blends and use it for making different dishes. This recipe was from my paper collection that I had filed. I have always been planning to try those recipes, finally getting around making it. 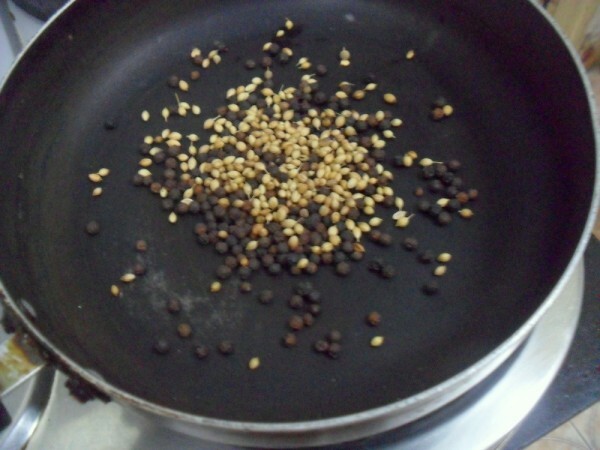 Fry all ingredients and grind like a powder, and keep it in a air tight container. I made the Milugu Kulambu with this. 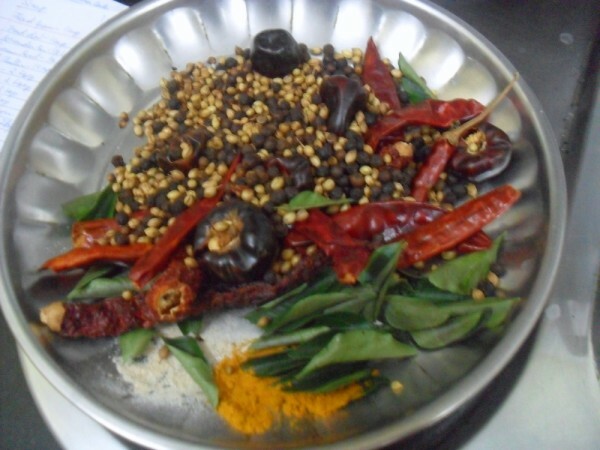 This can be used to prepare Melagu kozhumbu or Melagu kuttu and Melagu rasam. 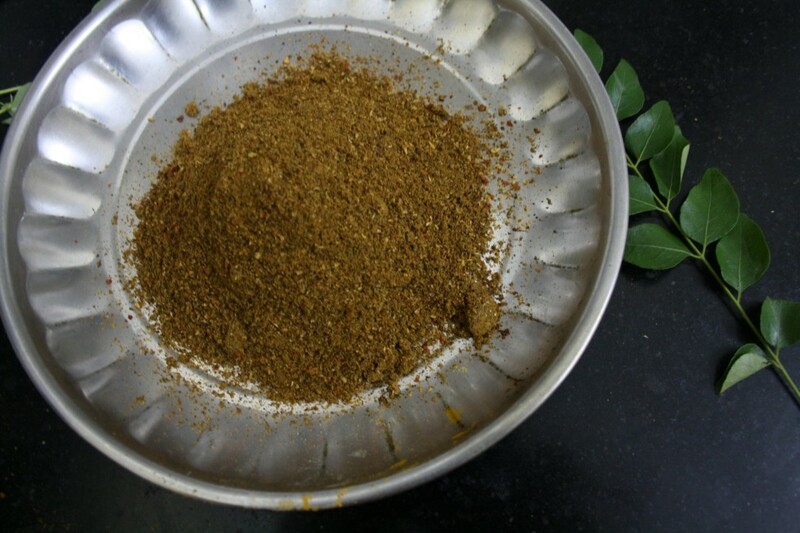 We grind this kuzhambu podi in bulk, i cant imagine my pantry without this spice powder. book marked..We dont make any specific spices mix so will learn from you guys. Very new to me ! It. Must enhance flavors of any curry.. Very true Srivalli, can never imagine my pantry without home made podis. For Milagu kuzhambu I make a small batch of fresh podi. Never made it in bulk. Homemade podis are the best. I am guessing this is a flavorful powder. Even I don't like to make this spice powder in bulk specialy this milagu podi they lose their aroma and flavor thats my view. nice and aromatic podi Valli. I don't make spice powders at home. Will bookmark some of the recipes. A must have in any South Indian kitchen. I am a great fan of pepper. It such a wonderful spice. We always make this when required. Never thought of having this in store. Good idea! The freshness and aroma of home made masala podis is undeniable! They make home cooked meals all the more special! !